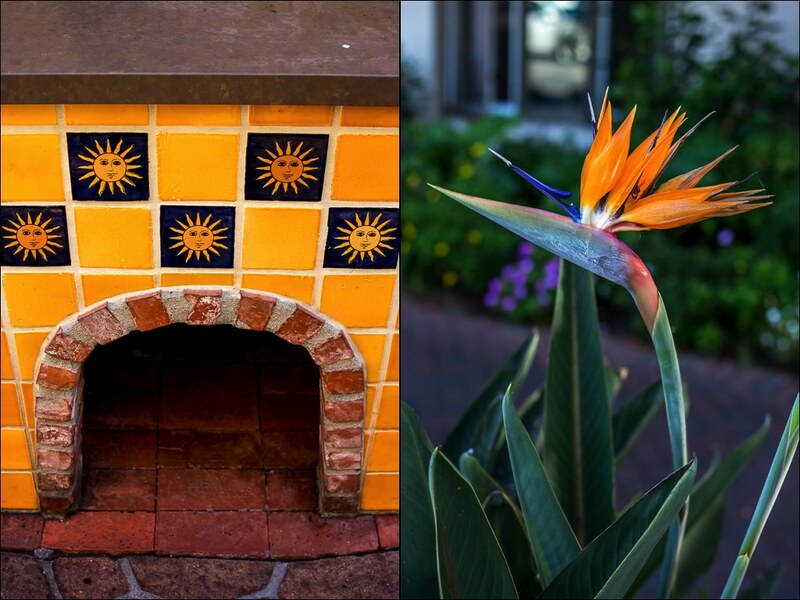 A pleasant, retro charm pervades the spiffy island community of San Diego’s Coronado. 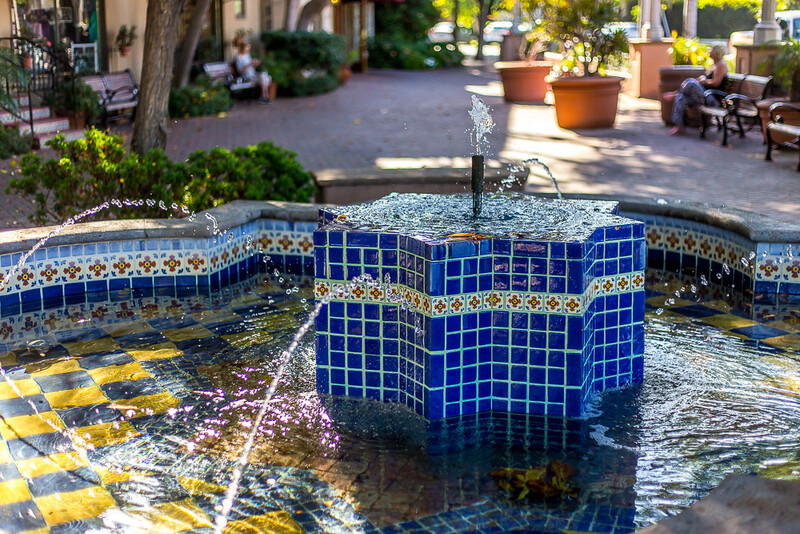 Orange Avenue — the walkable commercial hub with main street bona fides — sports intimate mid-century storefronts that line either side of a lushly landscaped median. 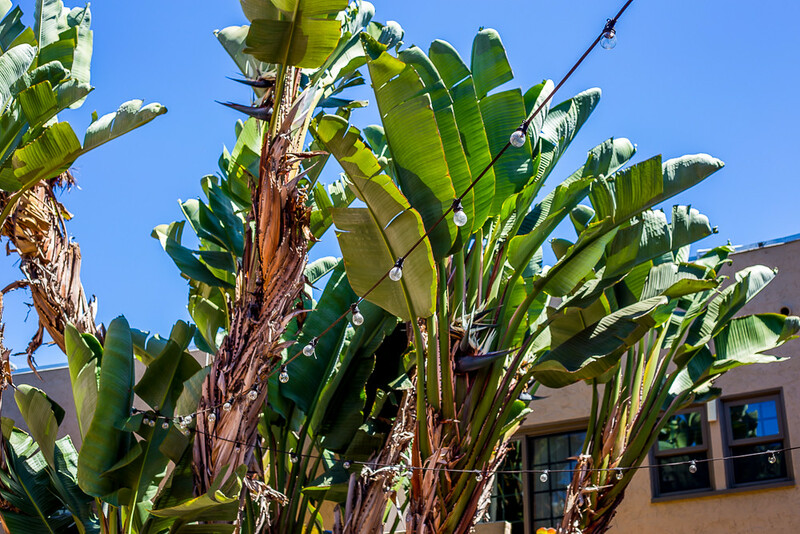 Milkshakes find their way on to a number of menus and locals can often be seen zipping around the town’s palm tree-lined streets in golf carts. 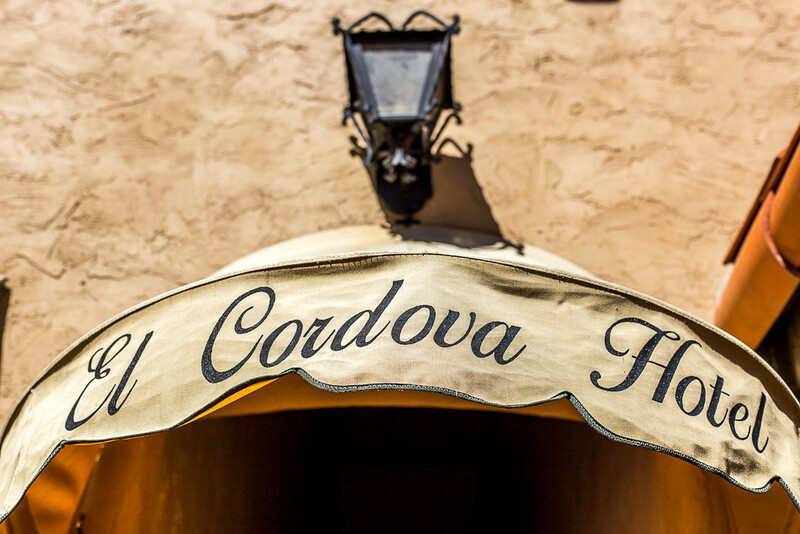 Tucked away just off Orange Avenue is the El Cordova Hotel. 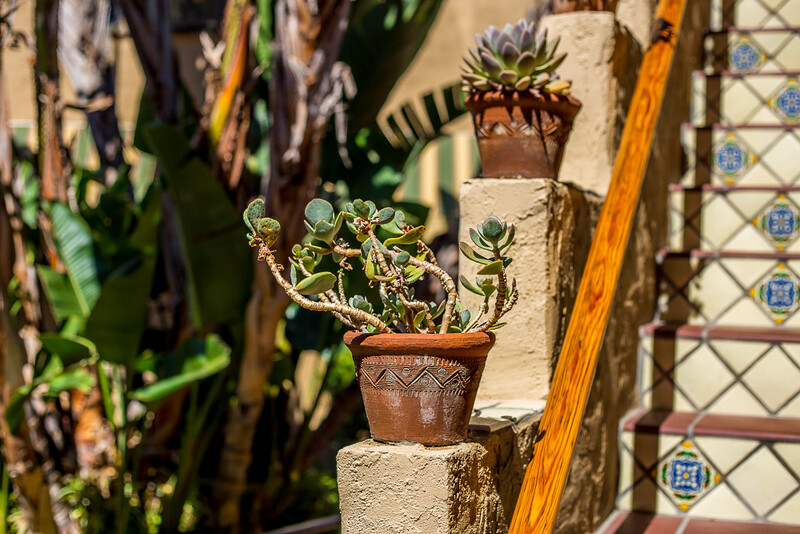 Originally housed in a 1908 Spanish-style home — the kind early 20th century did so well — the atmospheric property grew to include a series of 2-story buildings dotted with courtyards, landscaped gardens, and burbling fountains bathed in colorful Spanish tile. 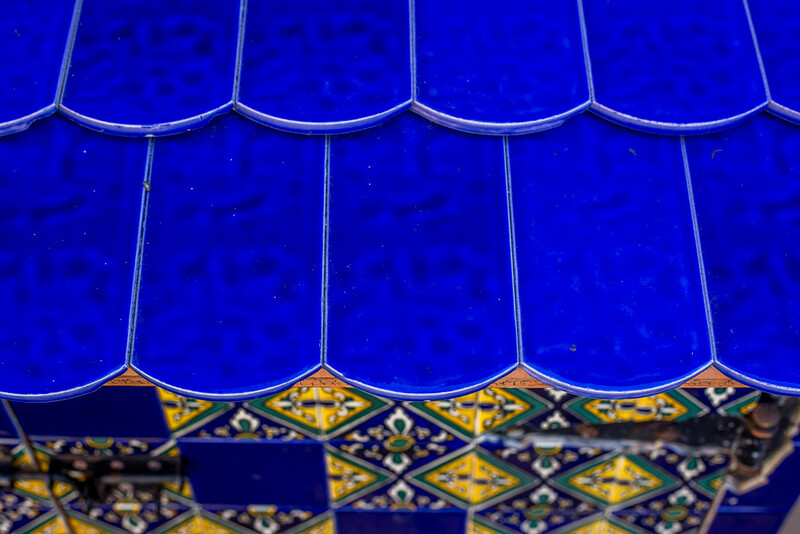 Along the front of the hotel, red-tiled sidewalks flaunt restaurant tables that beckon with al fresco dining under mature shade trees. 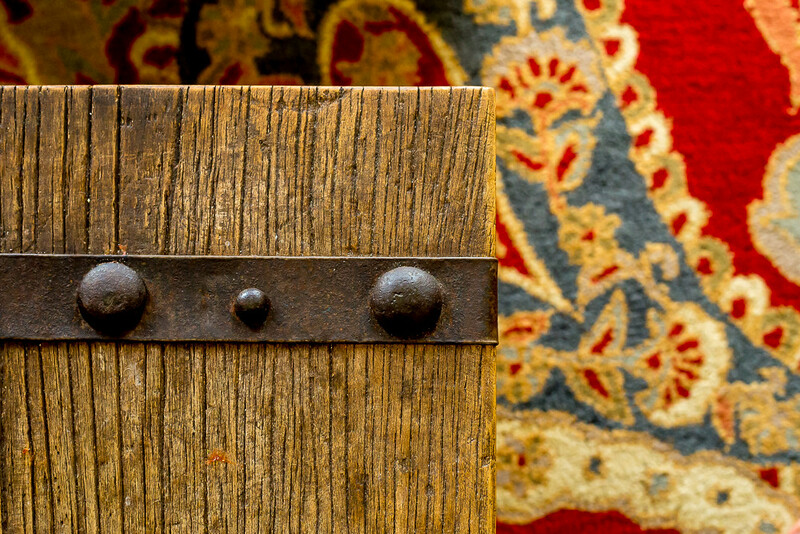 Speckled vintage lampposts complete the utterly charming scene. 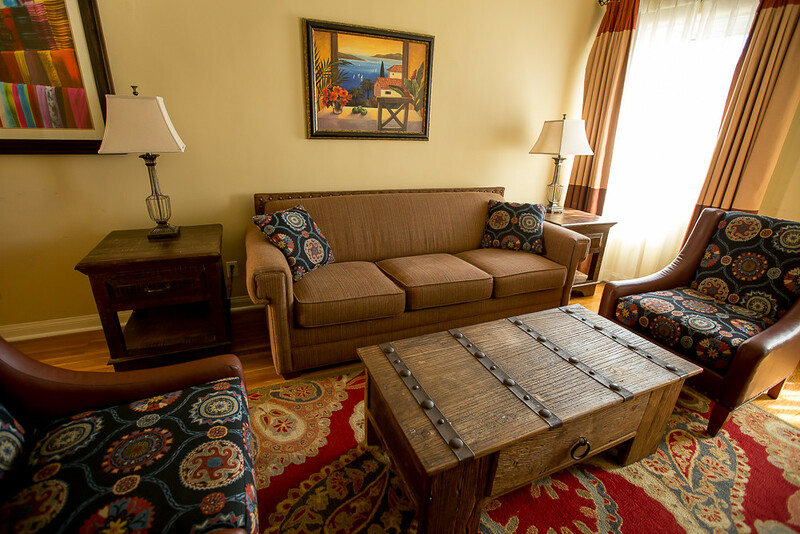 Guest rooms vary in style, size and amenities. 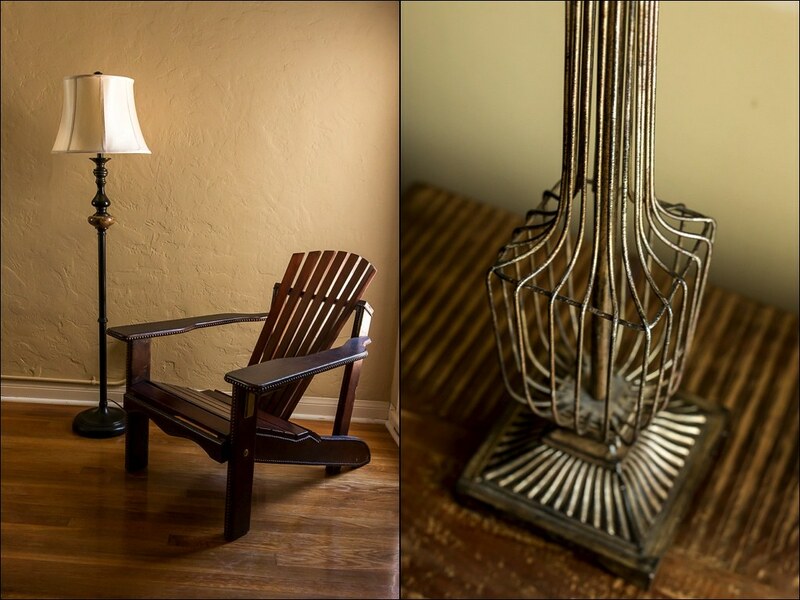 I loved the stylish 2-bedroom suite with living space, wood floors and a smart rustic-chic interior. 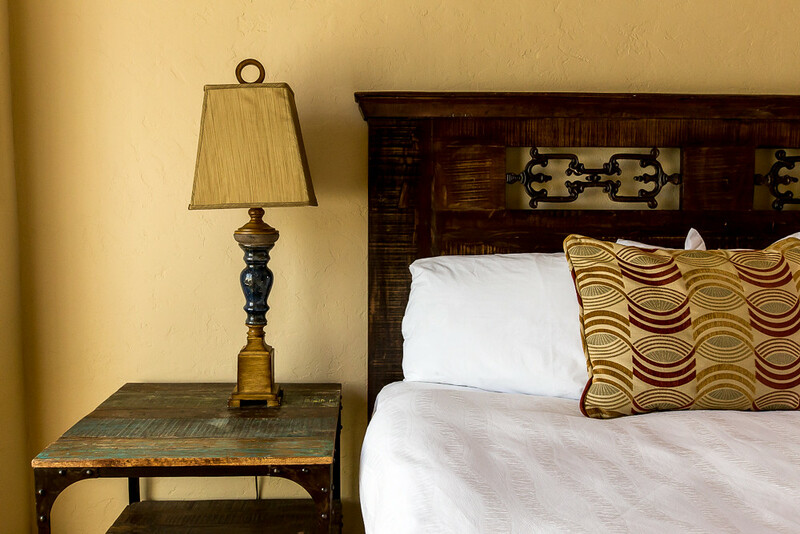 El Cordova is a good choice for longer stays with vacation rental conveniences like full kitchens, BBQ grills, and onsite laundry. Other perks include free WiFi, a swimming pool and a continental breakfast served in the main courtyard. You’ll also receive a daily voucher for Fabrison’s, an adjacent French bakery, which folds up hearty crepes throughout the day. 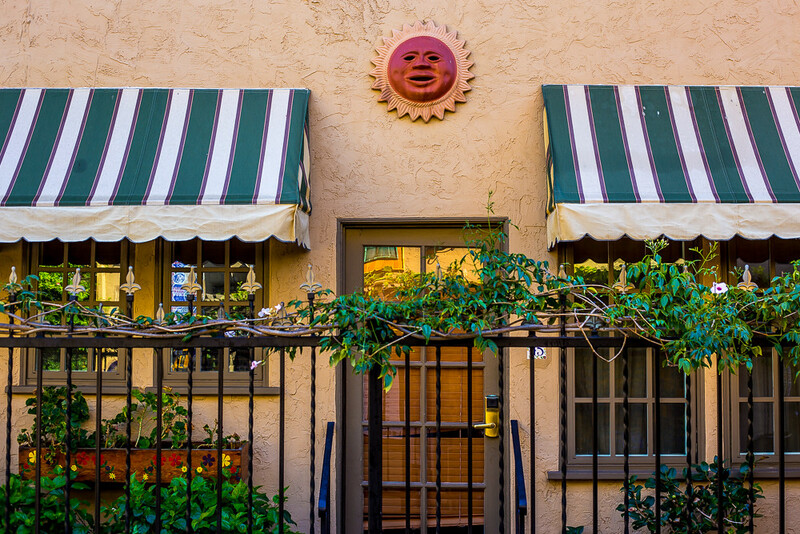 Situated in one of the property’s courtyards is Miguel’s Cocina, a Mexican restaurant and bar that keeps the vibe lively. 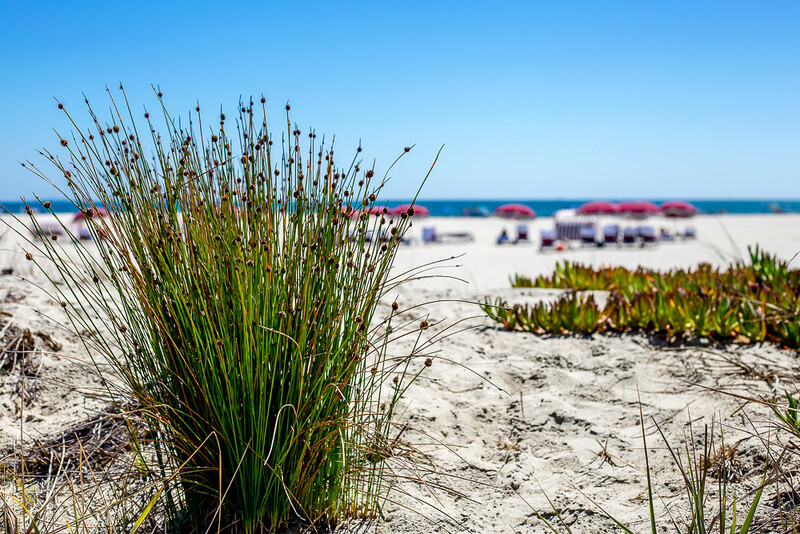 The hotel sits in an enviable location, directly across from the grand Hotel del Coronado which itself sits on one of California’s most spectacular beaches. 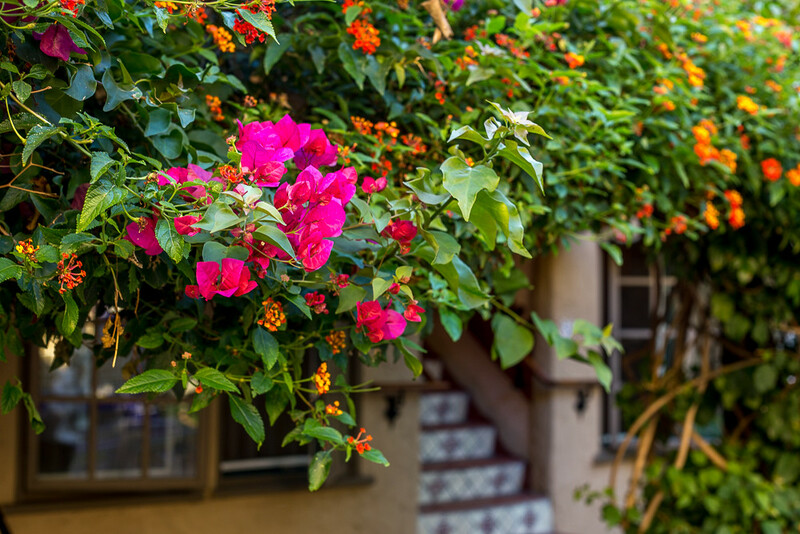 Coronado’s restaurants, bars and shops are all within easy walking distance. During the summer, you can also make use of a free and convenient bus service. This is as perfect as beaches come with mild surf and luxurious — and shimmering — sand. I learned from La Jolla Mom that a rare mineral called mica causes the sand to glitter. There’s little shade, so remember that umbrella. 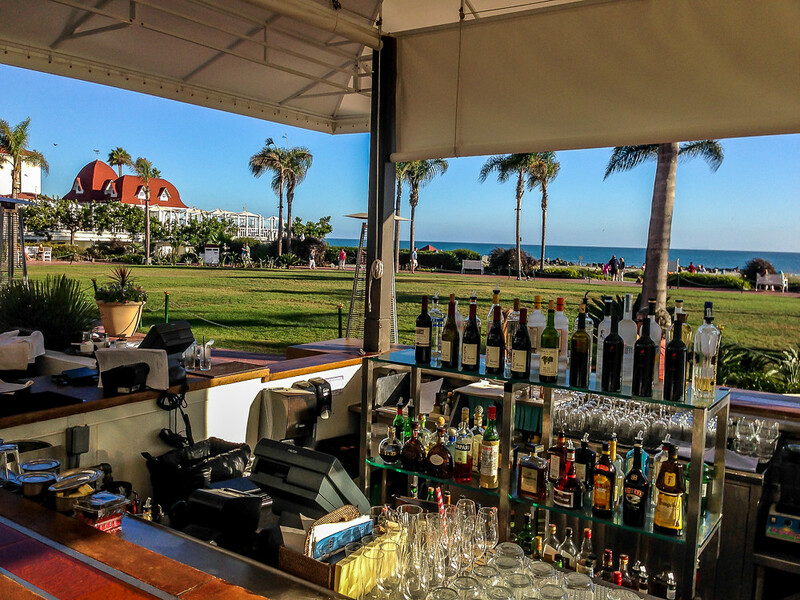 Or better yet, rent a glamorous red-and-white striped cabana through the Hotel del Coronado (available to both guests and non-guests) which comes complete with food + drink service. Every resort town needs a go-to spot for a sunset cocktail. As a travel writer, you’re quickly taught to use the word “bustling” instead of “crowded.” Well, the Del is bustling. Their stately bar, Babcock & Story, should be a great spot for a cocktail but it can’t quite keep up with the crowds. Beyond the main building is a freestanding bar — a clean-line version of a beachside palapa — that sits blissfully away from the crowds. 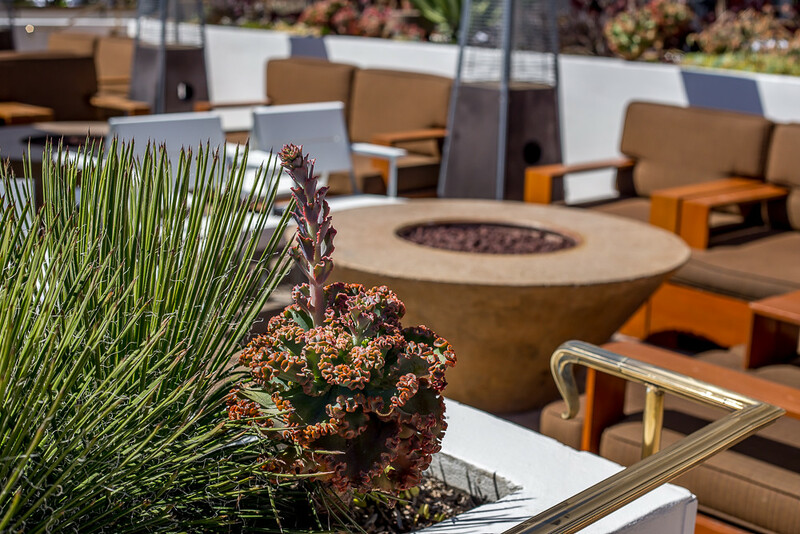 Grab a cushioned post at the bar or sink into a sofa-like chair surrounding a fire pit and enjoy a Mojito or Rye Swizzle. 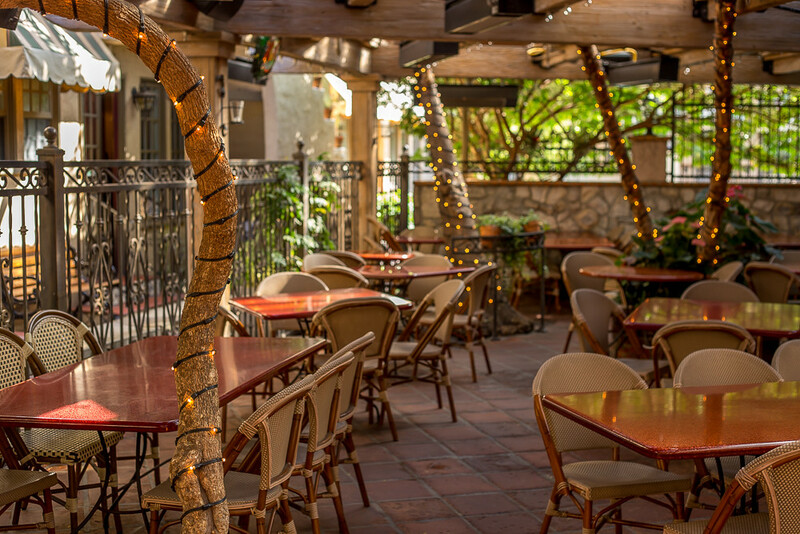 This solid gastropub on Orange Ave offers a great selection of spirits, cocktails and — because it’s San Diego — extensive list of craft beer on tap. The food’s good too. Snacks like deviled eggs with tangy frisée (that aren’t refrigerator cold), a piping-hot salt-encrusted pretzel and citrus-spiced brussels sprouts all hit the mark. This easy-to-love retro/hip spot serves up endless variations of hot dogs (from New York to Chicago to Tijuana) amidst a 91X FM soundtrack, the town’s alt-rock station. 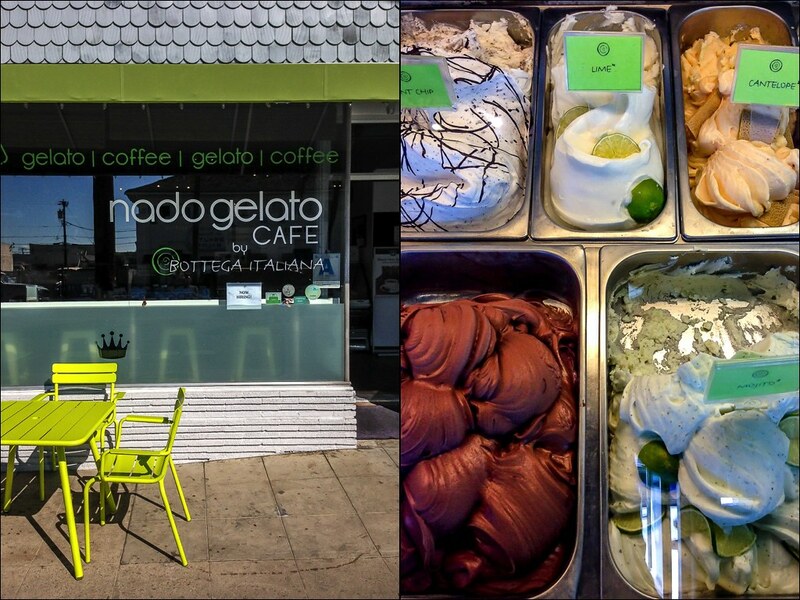 A crisp spot with smart, green patio chairs and rich, creamy gelato (note: lots of dairy-free options too). 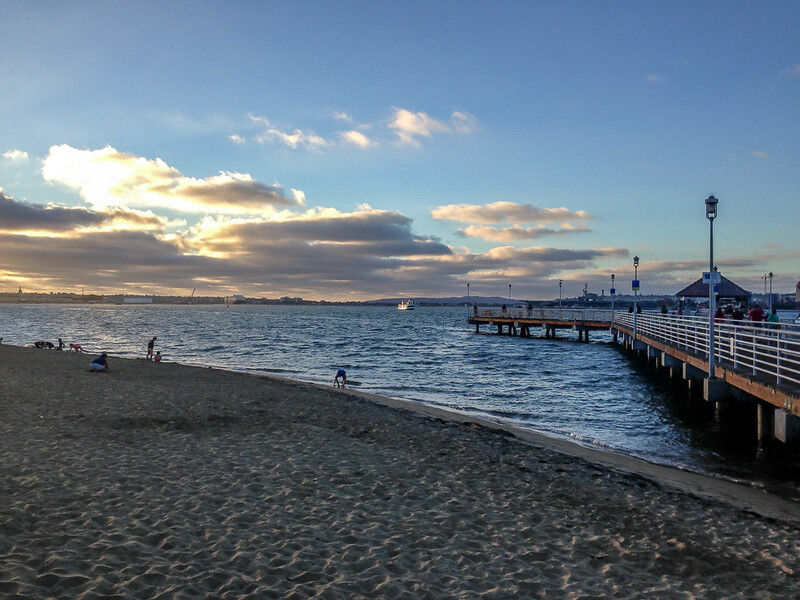 Coronado is connected to mainland San Diego by an impressive 2.1 mile bridge that towers 200 ft above the San Diego Bay. 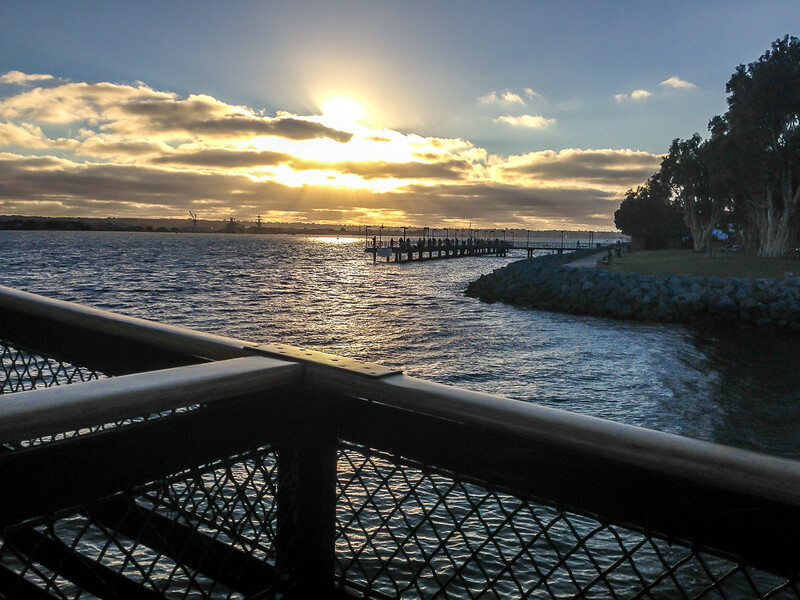 But if you’ve got island fever and want to explore other parts of SD, consider taking the ferry — especially during busy commute hours. 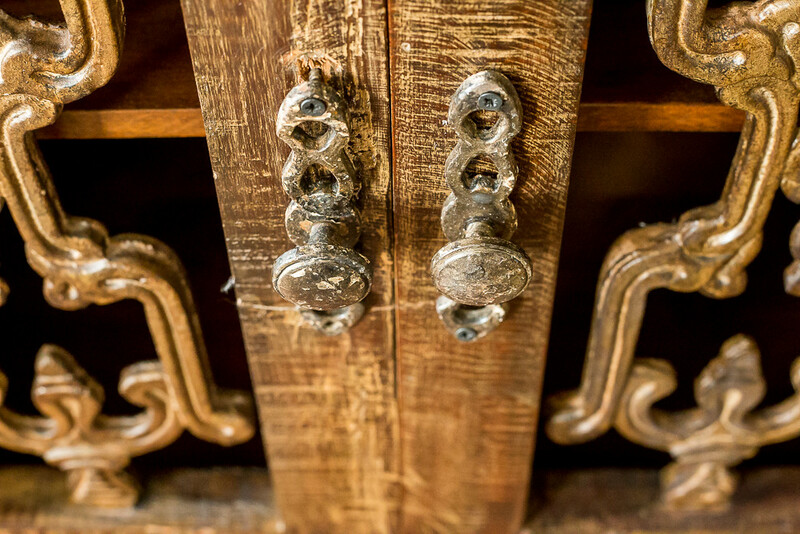 It’s a short, scenic ride aboard a charming vintage boat that drops you Downtown or at the Convention Center (a few steps from the buzzing Gaslamp District). It’s the best $4.25 you’ll spend.